Virtualization and containerization have been and remain popular technology infrastructure deployment models. Both allow you to run multiple applications in an isolated environment on a host operating system. With virtualization being the older of the two technologies, it owns a large footprint of the cloud infrastructure market. However, containerization has become a trendy alternative in recent years. Every technology giant including Microsoft, Google, and IBM support and have solutions that leverage it. When it comes to provisioning infrastructure for your technology solution, containerization and virtualization are both viable options. However, which of the two is the better choice and what are their respective advantages and disadvantages? When it comes to their architecture, both technologies leverage the benefits of virtualization. One is an abstraction at the hardware level and the other abstracts the operating system. Virtualization allows you to run an entire guest operating system in a virtual machine (VM) on a host operating system. This functionality gives you the ability to maximize your hardware. As long as you have enough resources on your host operating system (OS), you can operate multiple VMs each running a full OS on a single piece of hardware. Virtualization is all about efficiency. By effectively taking a physical machine and converting it into a piece of software, it allows you to manage your infrastructure far more effectively. Over and above the maximization of hardware resources, virtualization also simplifies maintenance and recovery and reduces your technology infrastructure cost of ownership significantly. Containerization brings the benefits of virtualization to the operating system level. Instead of managing an entire operating system to host your app, its dependencies, and data, containers give you the ability to package these components and run them on a single guest OS. This architecture takes the hardware maximization efficiency introduced by virtualization to a higher level. By leveraging the power of containers, you can run many more apps on a single host as you do not have the additional overhead of multiple operating systems and their dependencies. Because each container is a standalone application that houses the app, its relevant libraries, and sources, containerized apps offer simpler and easier portability. Containerization also increases development velocity. As you have a contained environment that possesses every dependency needed by the application, developers do not need to configure the relevant settings to get the app to work on a different host. 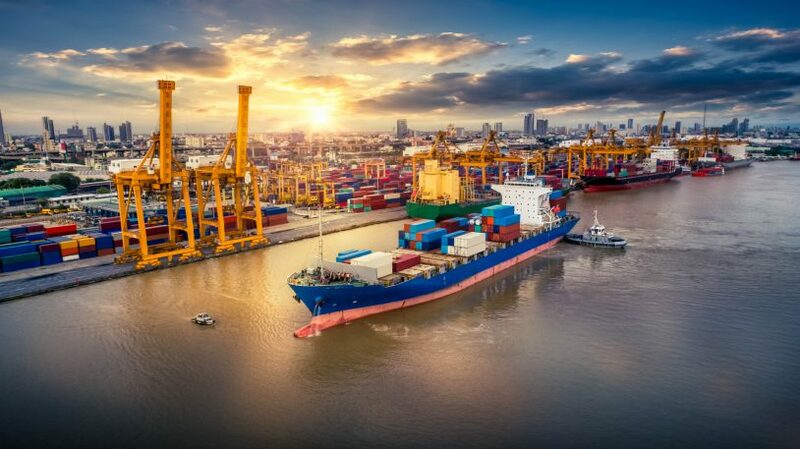 Even though containerization offers greater efficiency, reduced costs, and improved portability, there are some disadvantages to using this technology platform. Firstly, containers are not as secure as VMs. As containers utilize process-level isolation, if a user or application within it has elevated privileges, a malicious actor can leverage this access to compromise the host system. Another disadvantage is the layered architecture users deploy. With containerization, you can create your solution by using multiple third-party libraries and images. However, if any vulnerability exists in one of the dependencies you use to create your container, it places your app at risk. Over and above the security risks associated with containerization, this infrastructure deployment model has a few other disadvantages. The layered architecture of most container solutions leads to greater complexity. Over time this complexity can create a high maintenance overhead especially when you are deploying and managing multiple apps using this model. Although they are more efficient than VMs, containers do not perform at bare-metal speeds. As an abstraction layer exists between them and the underlying infrastructure, high-performance apps may struggle when containerized. Another disadvantage of this platform is its management of persistent data storage. When containers shutdown, the process erases the data inside it. Unless you put a solution in place to save your data, you will lose any app-related information. For example, if you use Docker, you can configure volumes for your persistent data requirements, but this additional overhead is not necessary with VMs. Graphical applications also do not work well in containers because the engines do not include a standard GUI. You have a variety of choices when it comes to deciding on an infrastructure architecture for your app. However, virtualization and containerization are not mutually exclusive. Nothing is stopping you from running containers on a virtual machine. Although containers offer a lightweight alternative to VMs, you can harness the benefits of both platforms to complete your solution. If you run multiple containers on separate physical hardware, you would need to connect each bare-metal device to an authentication and control system. Running containers in a VM is less of a management overhead as you can leverage the security innovations of virtualization technology. It also allows for greater scalability as you can leverage the efficiency of containers and spin up multiple VMs as needed. In this way, you can scale much faster and have a higher app to host ratio that increases the effectiveness of your hardware utilization. Virtualization and containerization each have various advantages and disadvantages. As with all technology, neither platform is a silver bullet that solves every problem. When you are considering which infrastructure model to deploy, you need to ensure you plan and understand the scope of your solution. Containers are great when you need to run multiple copies of a single app, whereas VMs offer greater flexibility and are better at running a diverse set of applications on a single host. Containers are much faster than VMs at booting up and shutting down. This feature makes them an ideal platform for development and test environments. However, VMs give apps access to all operating system resources and offer greater development flexibility. Due to their maturity, VMs also provide a wider range of established management tools and practices. When deciding on the right platform for your app you need to consider the app’s architecture. Containers are well suited to architectures that deploy and utilize microservices. VMs, on the other hand, are better at running applications that run on a distributed tiering model. Ultimately, virtualization and containerization have their benefits and drawbacks. When crafting your application’s architecture, it is vital that you take these advantages and disadvantages into account. In essence, containers are great for development environments and applications that leverage a microservices architecture. However, they are not as secure as virtual machines and are not suited to every type of application. If you are running multiple separate applications and need access to the operating system’s resources, then VMs are the way to go. However, if you need to scale a single app, then containerization is the correct solution for your deployment architecture.